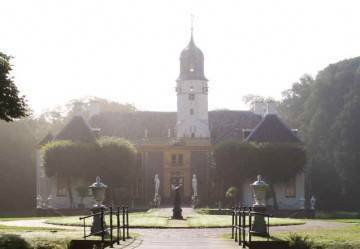 The manor Fraeylemaborg in Slochteren, more than seven centuries old, is opened as a museum to the public since 1975. From the start the collection of Mr. Van Diepen has played an important role in the layout and furnishing of the borg, as well in respect to exhibitions as in the permanent inventory. caused the ‘Jan Menze van Diepen Foundation’ in 1994 to house her collection in a new depot on the estate Fraeylemaborg. In the Fraeylemaborg one can admire pieces of art from the Van Diepen collection all over the building in a changing composition.